Episode 165 - A BRAND NEW CAR!!! In this episode, Jason wins a BRAND NEW CAR!!! (or does he? ), Lucas gears up to do some virtual racing, and we talk a little bit about The Keepers. 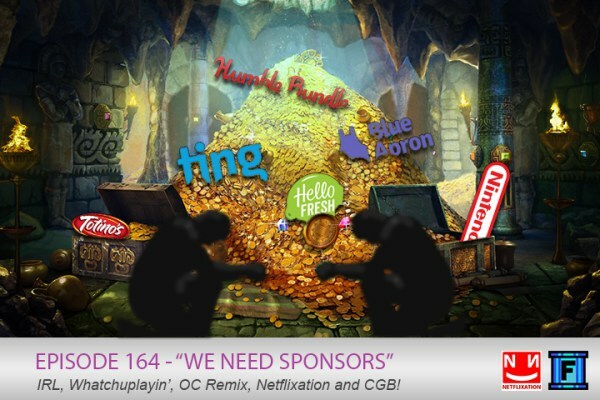 To round out the show, we do a bit of grabbin the community's bag. Well, it's been TWO WEEKS since the last episode, so we have a lot to cover! We have plenty of IRL, including a chat about Hello Fresh and Blue Apron that was so long we probably should have sponsorship by now, Memorial Day weekend happenings, and baby shots. Whatchuplayin' is chock full of stuffs too many to list, and Netflixation round out the show with The Impossible! Now will someone PLEASE SPONSOR US ALREADY! ?